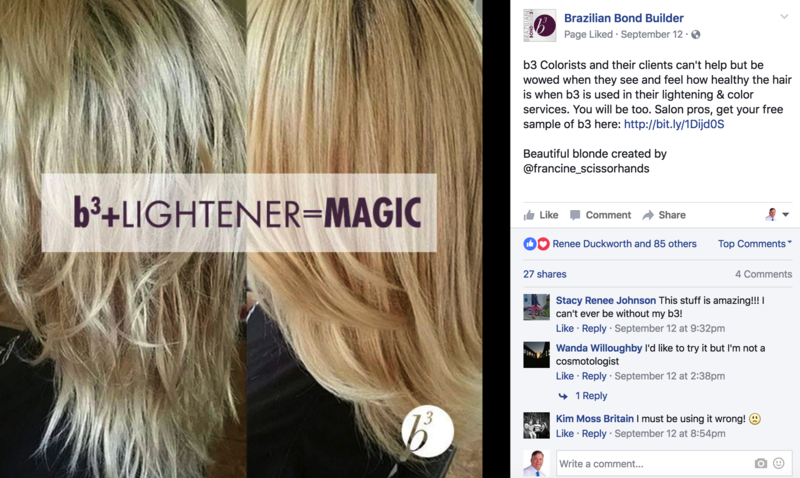 Today I'm reviewing the new b3 Demi Permanent Conditioner Treatment. 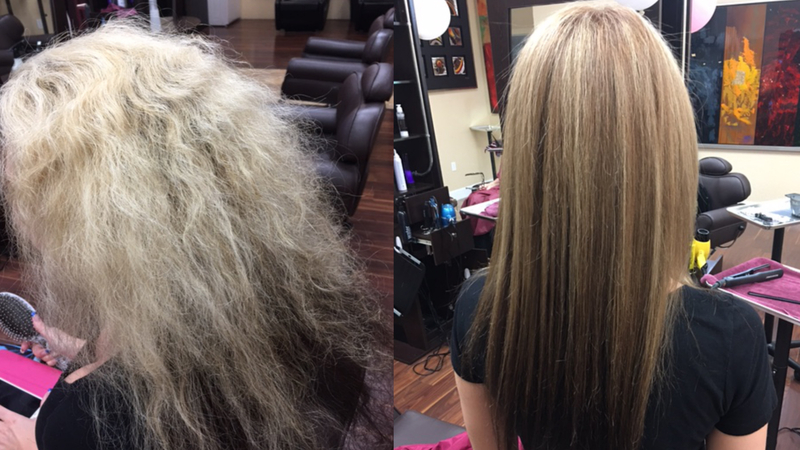 Have you ever given a deep conditioning treatment to a customer that absolutely loved it the day of the service, but then a couple days later, she reports back that her hair is back to normal? Yeah, that's the norm. 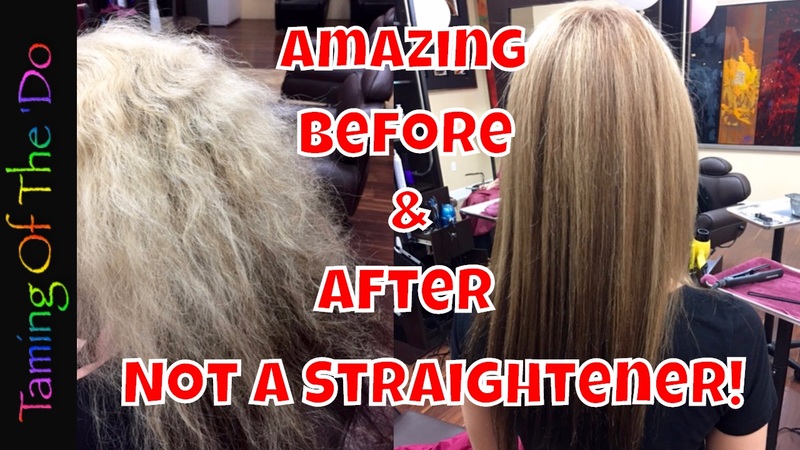 Most conditioning treatments realistically last only 2 or 3 days, then the benefits are gone! Up until now, no other company can get results that last longer than a week. 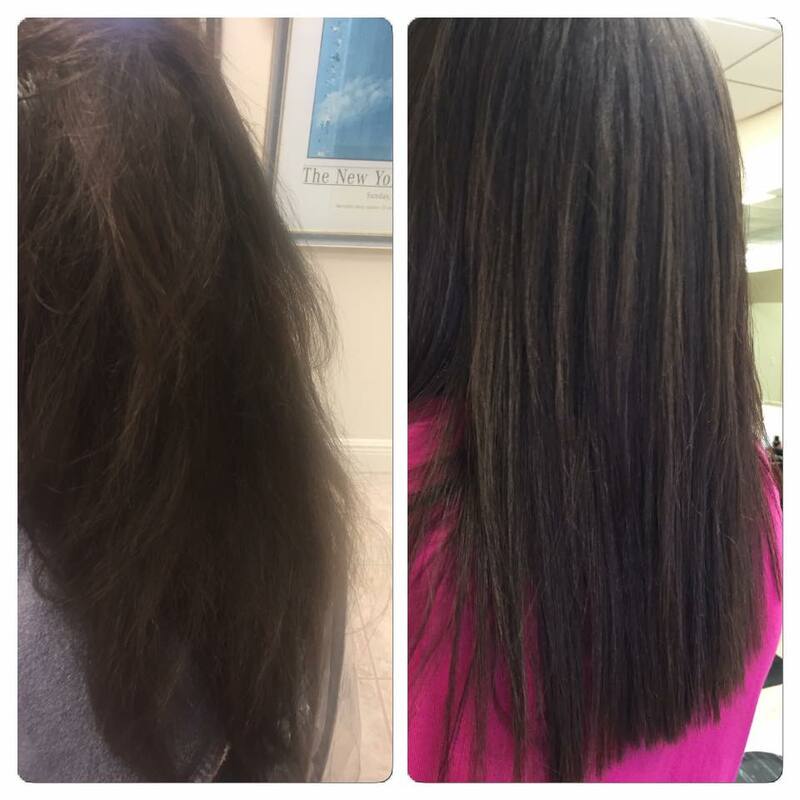 Brazilian Blowout...The #1 Smoothing Treatment! Leave it to the folks at Brazilian Professional to come up with a solution. 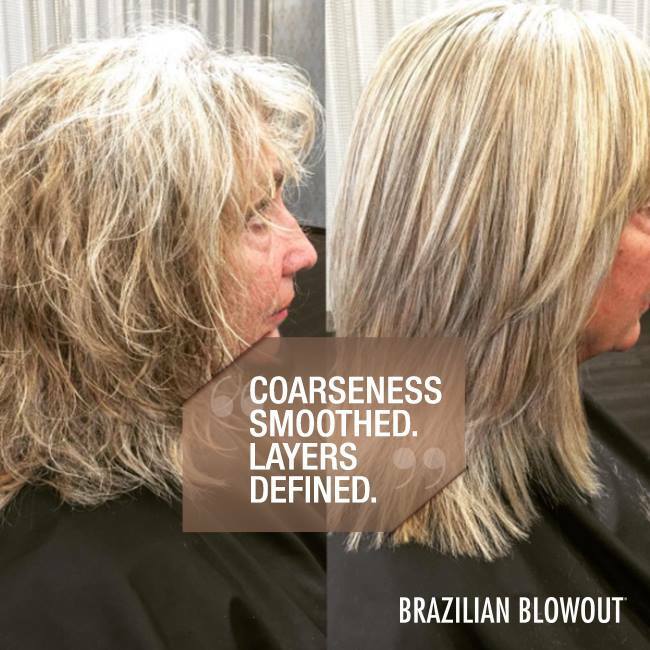 They of course are responsible for the #1 Smoothing Treatment in the industry, Brazilian Blowout. Since then, they have created two other successful treatments, such as Spilt End Repair Treatment. Last year, they launched one of their most successful products to date with their b3 Brazilian Bond Builder. 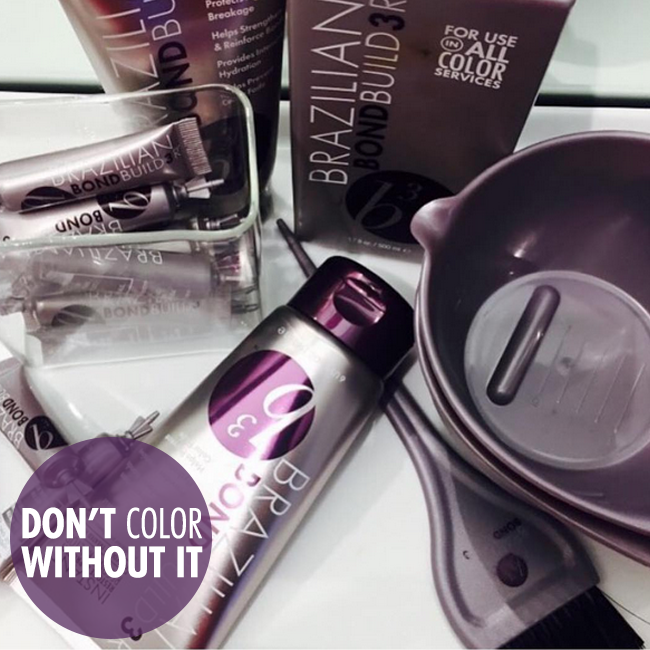 This is an additive for all color services that rebuilds the bonds of the hair. 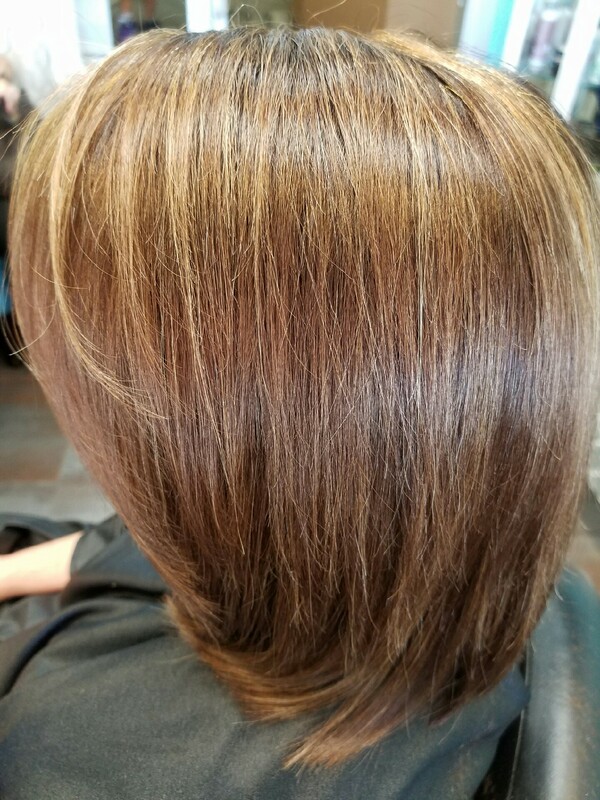 Working on the Cellular Membrane Complex, b3 repairs that sticky​ layer that keeps the cuticle closed, resulting in better color retention and healthier, shinier hair. 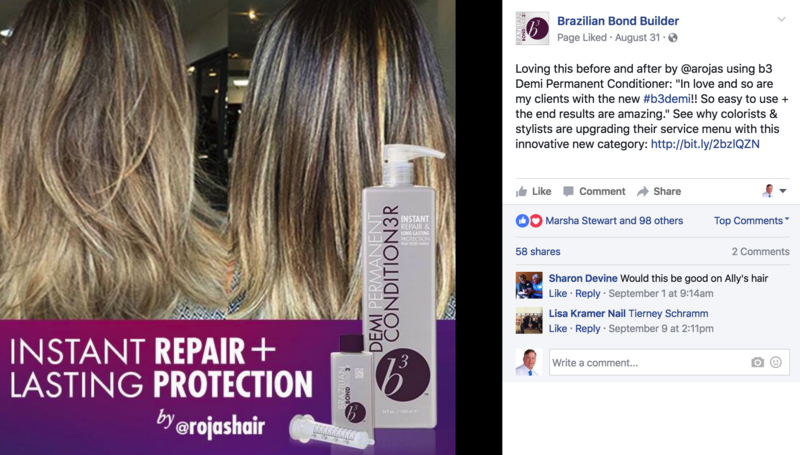 b3 Demi Permanent Conditioner Treatment is a professional service that provide instant and long-lasting repair to extremely dry, color treated & very damaged hair. Shampoo hair and then lightly towel dry. Hair should be slightly damp. 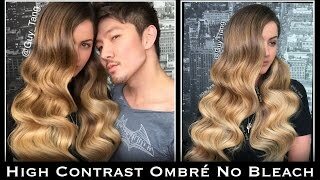 Using an applicator brush, apply product throughout the hair from root tip and comb through. Put hair in a plastic cap and place under dryer on medium to high heat for 15 to 20 minutes. 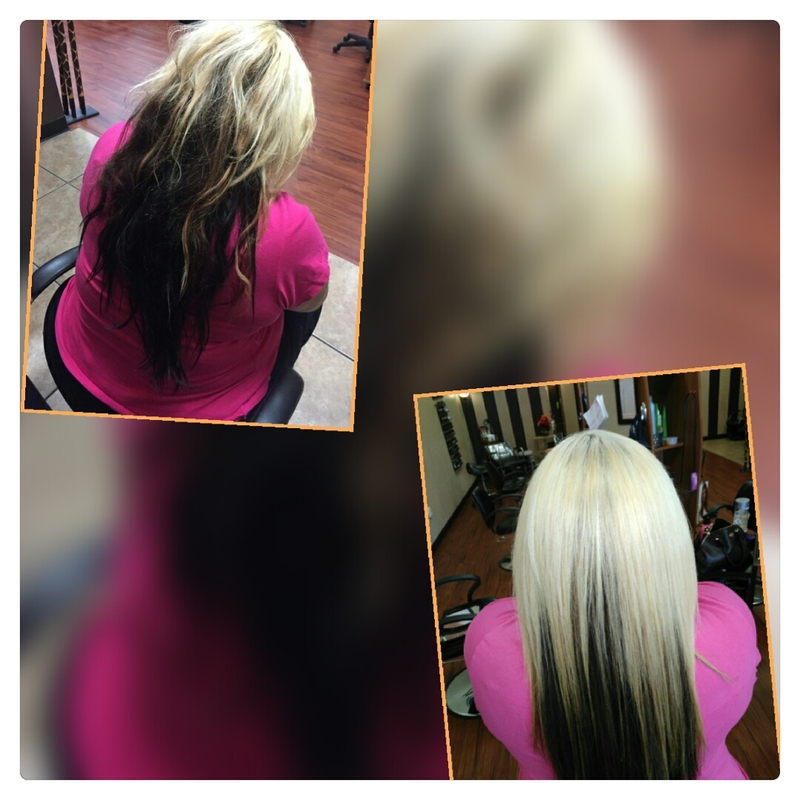 Here are a few before and after pics to give you an idea of how good this service really is. Proof is in the results! To see more photos of amazing results, just go to B3 Bond Builder Facebook Page. b3 + Lightener = Magic! When I followed up on one of my clients (Becky) that had purchased the kit, she still had not used it. She works by herself and her schedule is tight. She said she forgets that she has it, so by the time the customer arrives for their service, she has no extra time to do the treatment. 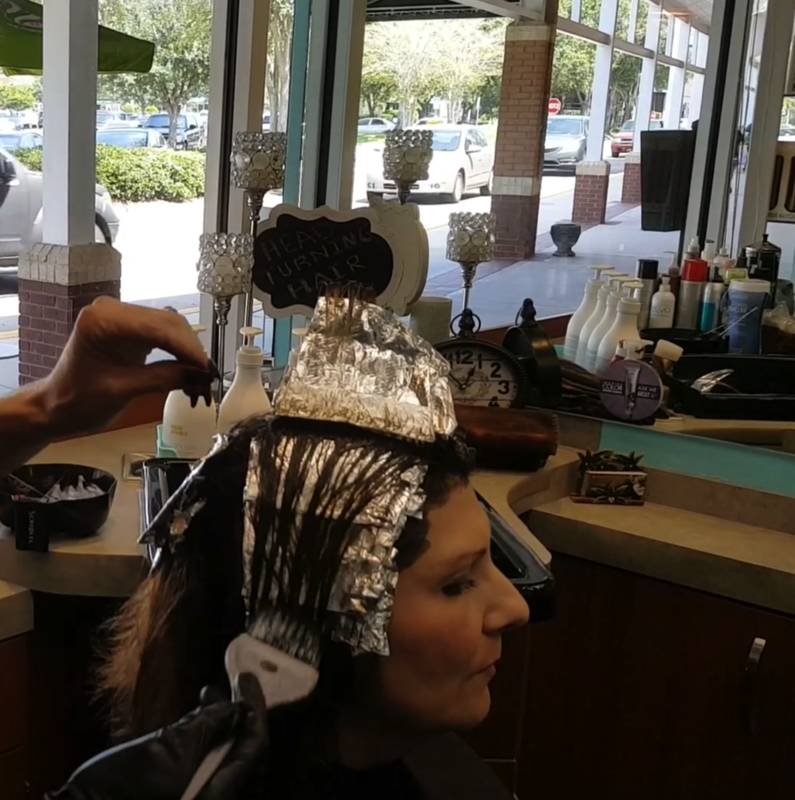 As we were talking while finishing foiling color with her client, she came up with an idea. 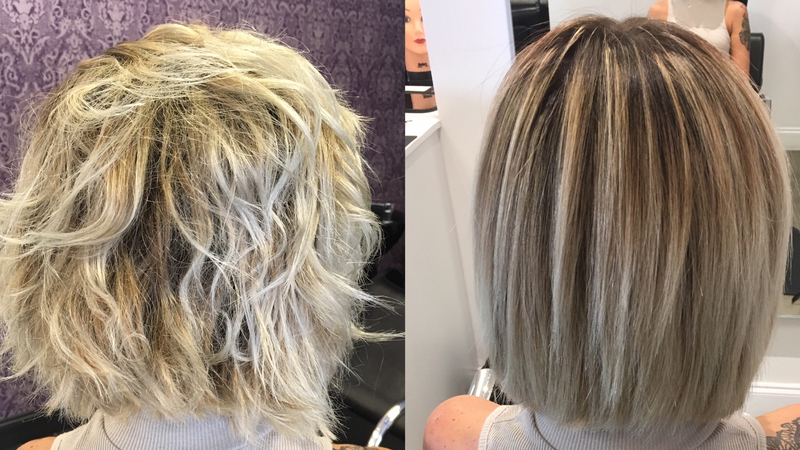 She wondered if the b3 Demi Permanent Conditioner Treatment would still work if she applied it in between her foils on the mid-lengths to the ends. She thought the worst that could happen would be her color would not come out right. Her customer was willing, and I of course went along with it since I was curious too. I happened to record it, except for the end. But she did send me some pictures of the finished results. Watch the video below to see what happened! Pretty amazing huh? 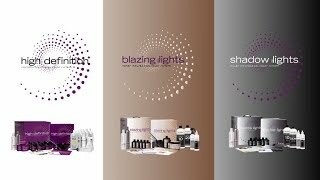 If you are a stylist and you do not yet have this, you would be missing out on a great new service to offer your clients that is unmatched by anything else currently available in the industry. The kit is reasonably priced and will do 20-22 applications. Just imagine how many of these you could do in a day, a month, a year! How much more profit could you make doing this unique service? Contact me today by calling 904-710-1988 or by emailing me at [email protected]. 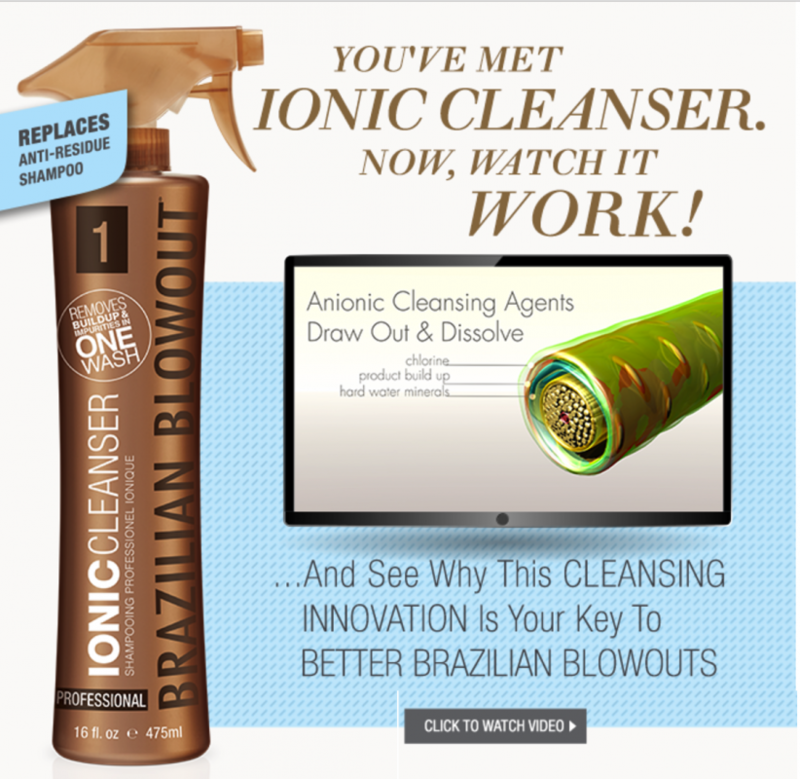 I guarantee you will get great results...this is totally a no-brainer! If you want to get notified when I post a new article, please subscribe! You will also get notified when I upload new videos by subscribing to my YouTube Channel.